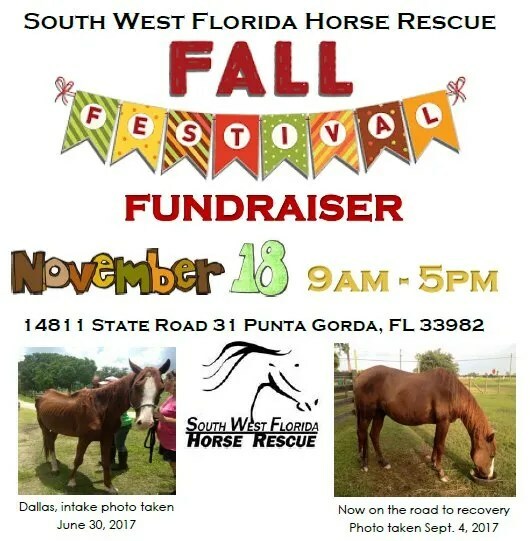 South West Florida Horse Rescue, Inc. will host a Fall Festival Fundraiser in support of the 13 equines currently in their care. PUNTA GORDA, FL. (Wednesday, October 18, 2017) – SOUTH WEST FLORIDA HORSE RESCUE, INC. (SWFHR) invites the local community to come out for their first annual “Fall Festival” fundraiser event on Saturday, November 18, 2017 from 9am to 5pm, at the SWFHR facility, located at 14811 State Road 31, Punta Gorda, FL 33982. Proceeds from this event, will further efforts to improve the quality of the environment at their facility for locally rescued equines. Event Sponsors, Vendors, and Raffle item donations are needed and can remit to nikki@swfhr.org or by calling (239) 567-4111. Event Sponsor and Donation forms can be found at www.swfhr.org/event/fall17. The “Fall Festival” will benefit the current and future rescued equines at the SWFHR facility. Admission $5.00 per person, kids 5 and under free, at the gate. While games, music, and viewing the rescued equines are free. The special activities, such as the horse show, pony rides, and more, are $5.00 per person or $20.00 for an all-day pass (wristband) for event activities. An equine tack sale and some area food and merchandise vendors will have their own variable prices. Cash will be the predominant method for payment but some vendors may take card transactions. “This is our first year hosting this festival and what is unique about this event is, our coordinator of this festival is one our very own volunteers and an adopter of 3 of our rescues” said Tina Garrett, President. “With the help of local sponsors and the support of our Southwest Florida community, spreading the word of this exciting family event and coming out, we can all help our local horses in need” added Tina Garrett. Anticipated at 500+ patrons for this one day event, the festival will showcase local area food and merchandise vendors, music, games for both adult and children, raffles, a live auction (not horses), a horse show demonstration, pony rides, hay ride, pie eating contest, and more to come. For more information or to sponsor, donate, or volunteer, please contact Nikki Hass at (239) 823-8150, nikki@swfhr.org or online visit www.swfhr.org/event/fall17. 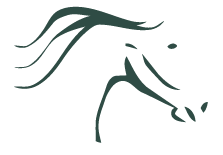 ABOUT SOUTH WEST FLORIDA HORSE RESCUE, INC: Committed to saving the lives of southwest Florida’s local community’s equines through a host of primary programs such as our: Rescue, Adoption, and Volunteer Programs. Join our family of cause connected citizens in our community and make strides to benefit ‘our’ local community’s equines. Find out more at www.swfhr.org.